Marco Colzani is committed to making the freshest, cleanest chocolate imaginable. His Lago di Como Blu (Lake Como Blue) Dark Chocolate is his signature recipe, crafted to perfectly balance the aromas and rich flavors of the cacao bean. With notes of ginger, red fruits and freshly ground pepper, this chocolate is remarkably smooth with no bitterness. Lago di Como Blu is a 70% blend of two single-origin cacao beans. One is the criollo cacao bean variety and the other is trinitario, but Marco keeps the countries of origin and exact percentages of these beans top secret to protect his recipe. That’s how phenomenal this chocolate is! It also melts in your mouth much slower than conventional chocolate, because it contains about 30% less fat. Marco is one of the world’s few true “bean-to-bar” chocolatiers. He regularly travels to visit his cacao bean suppliers to get to know the farmers, taste the beans right at the source, and work with the farmers to develop the best fermentation methods. 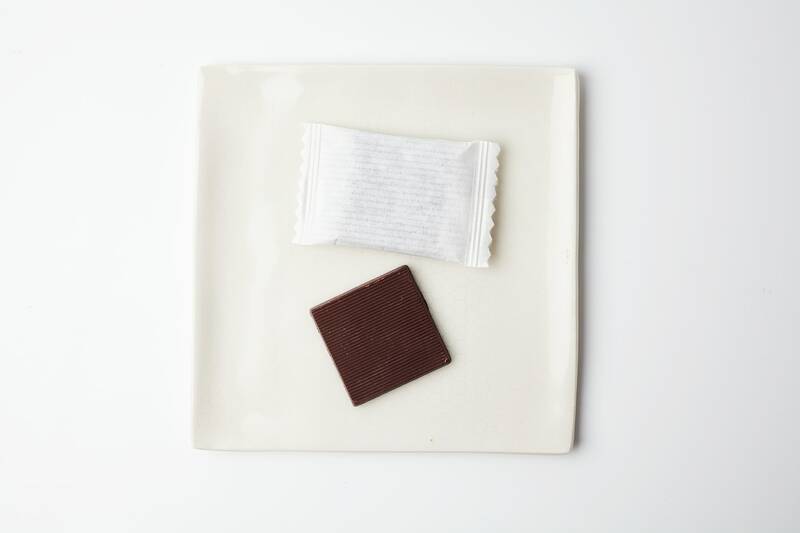 Marco only makes chocolate in thin, individually-wrapped squares, which he says are the perfect size for experiencing the full pleasure of his chocolate. Like a glass of special wine, this chocolate is meant to be savored in just the right quantity, so you can truly appreciated the nuances of these carefully sourced cacao beans.